The summer is upon us. While some UAE residents have embarked on their summer holidays, few have no respite from the sweltering heat of the country. If you are in the Emirates, this is the best time to use your resident privileges. Hotels, water parks and malls are offering exclusive offers only for UAE nationals and residents. All you need to do to avail these offers is present your Emirates ID, driving license or labour card to redeem the offer. You can receive up to 15 per cent off on your hotel stay with a complimentary access to Aquaventure Waterpark and The Lost Chambers Aquarium. Let your children cool off during the summer heat by playing in the water at Aquaventure Waterpark. What's more, you can save up to 40 per cent with your Emirates ID. Play with the dolphins for Dh595, instead of the usual price of Dh895 and more. 2. Enjoy a five-star staycation at The Palazzo Versace Dubai with this tempting offer, valid till September 30, 2017. Starting at Dh1210*, the package includes 20 per cent off on food and beverages at seven of Palazzo Versave's outlets, 20 per cent off on spa treatments. So, go ahead and indulge in this staycation in Dubai, while the summer lasts. 3. Beat the summer during the long weekend with 20 per cent off at the indoor ski resort, Ski Dubai. Enjoy a family time by playing in snow, snowboarding, and tobogganing at this attraction in Mall of the Emirates. Go ahead and enjoy the discounts on Polar, Polar Express and Ski Dubai Experience Pass. 4. 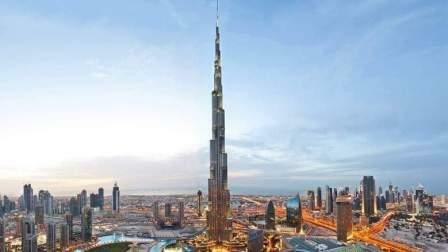 Always wanted to go At the Top of Burj Khalifa and wanted to have a bird's eye view of the city? Emirates ID holders can exclusively enjoy the iconic attraction at a rate of Dh65 per person, contrary to the usual rate of Dh125. This offer is valid throughout July and August for tours from 9am to 1pm. 5. Now is your time to save money and explore the adventure and amusement at Wild Wadi Water Park. With a ticket as less as Dh195 for UAE residents, hit the water park this summer. Go ahead and get your adrenaline rushing with one of the 30 slides at the Wild Wadi waterpark, located right on Dubai's famous Burj Al Arab. Check their Facebook page for more details.